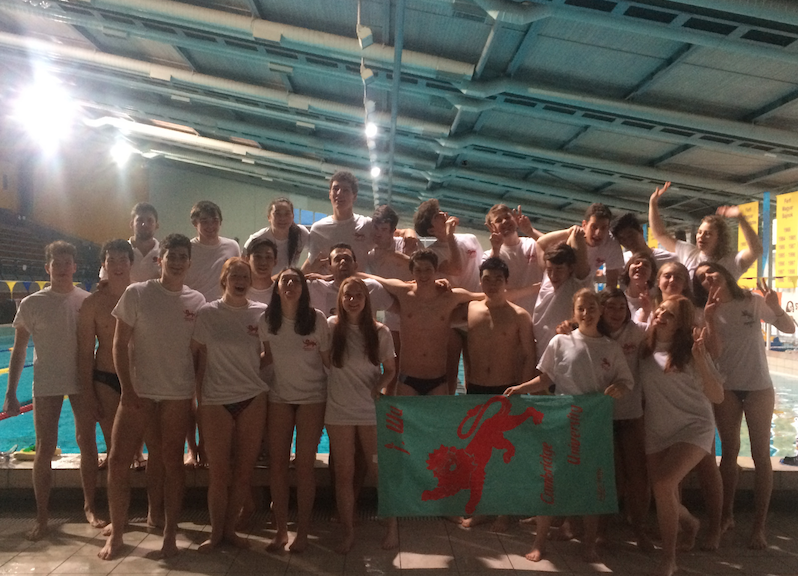 Water Polo teams return from tour: hungry for victory! On the 8th of January, miraculously, every UK-based member of the men’s and women’s water polo team met at Stansted Airport for the two hour flight to Budapest. Full from the weeks of break and holiday-ing, the teams were ready to dive into training, but on the first evening they most definitely were not ready for the -15 weather that Budapest had to offer. In true water sport style, every non-training and non-eating activity was still on water. From an afternoon at Aquaworld Water Park, filled with heart-stopping slides and traditional saunas, to a ‘rest-morning’ of skating – the teams couldn’t escape water, in whatever form it came. And as we adapted to the cold (in reality the temperature just rose) the streets of Budapest become home to the usual water polo tour antics; TJ’s carrying hats and following friends, while Péter and Balint kept us from getting too bewildered and lost. In the afternoons, with the help of Péter, matches against the local teams were arranged. The men and women were in the water for an hour and a half each, learning what it meant to play against teenagers who’d been trained for water polo from infancy. Half of the women’s team had only taken up the sport in October, and their growth and development throughout tour was incredible. By the last matches, which the British Ambassador to Hungary came to watch, everyone was a lot more confident. Though we didn’t keep score, the men’s team may have even won their match.